“$700,000 is a lot of money, so we’re very very excited about,” Maj. Michael Vivian with KCKPD said. 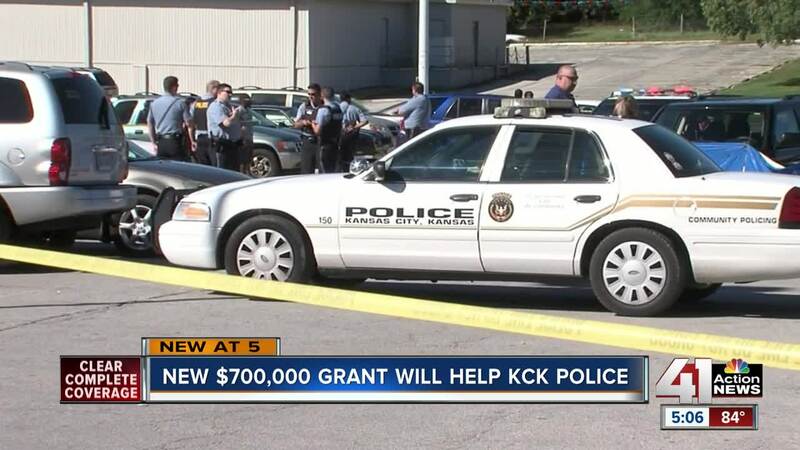 The grant is a large chunk of change that will specifically pay KCK police officers working operation “Impacting Crime in Our Neighborhoods” or “ICON” for short. 41 Action News first reported on the crime-fighting initiative in July. Every 30 to 45 days officers are put into neighborhoods identified based on data as hotspots. “When we’re able to put officers in the ICON zone and be visible with the public we’ve seen a decrease in crime,” Vivian said. Since the program began in April, violent and property crimes have dropped 50 percent in the Armourdale neighborhood and 15 percent in the Midtown district. The program is now focusing on west and south patrols where officers respond to quality of life complaints, do proactive police work and engaging in positive community interactions. “So we’ll go to community meetings. You know we’re just walking along a small three block by three block area that the program says we need to be in. That’s where we’ll be,” Vivian said. The money comes from the Department of Justice’s Project Safe Neighborhood program that Attorney General Jeff Sessions touted nearly three weeks ago during a stop in Kansas City. Police said this grant is expected to last them three years and help operation ICON become a staple for the department.